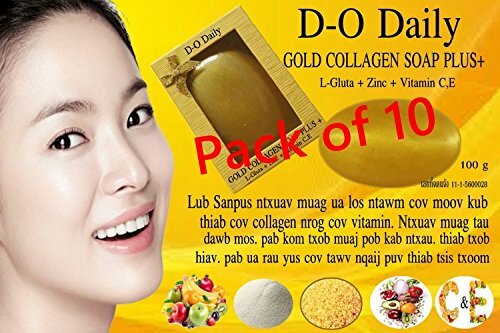 10 Bars D-O Daily Whitening Pure Skincare Facial Gold Collagen Vitamin Soap Plus Pack of 10 by kwantasmile at Mountain Walk. Hurry! Limited time offer. Offer valid only while supplies last. Description : Product Type : Soap Whitening, Collagen And Vitamins Condition : 100% New. Never used. Sealed Package Size : 100 g. or 3.5 Oz./Pc . If you have any questions about this product by kwantasmile, contact us by completing and submitting the form below. If you are looking for a specif part number, please include it with your message.